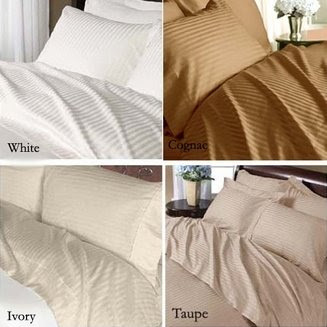 Egyptian Cotton is used to create all types of bedding from sheets to pillowcases and even comforters. Egyptian grown cotton means that there is more continuous fiber to use when creating threads or yarns. The humidity and rich soil along the Nile River Valley create the perfect conditions to grow long cotton fibers. This makes it stronger yet lighter than all other cotton. This incredibly soft fabric will last for years and years. Every time you wash Egyptian cotton sheets they will become softer and softer. Cotton grown in Egyptian fields will also produce less lint will not pill like other fabrics. This type of fabric is a great choice for any type of bedding! I love Egyptian cotton, it's really smooth. Mexican cotton isn't bad either. Fantastic blog and very informative. I have a particular liking for egyptian cotton sheets. They are notably more comfortable than typical silk or cotton sheets.